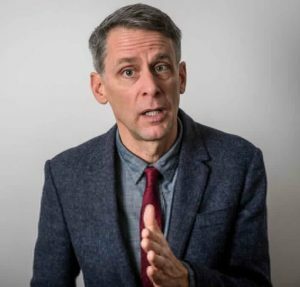 The offence economy is in overdrive, so Scott Capurro has migrated from “inappropriate” to “problematic”, but his sharp eye for hypocrisy and relentless pursuit of gasp-inducing punchlines has only improved. Scott wrangles with rich friends, worthy yoga, marital improvement and the miseries of home ownership. Certain that every silver lining is attached to a rather imposing cloud, he spins yarns that are meant to resolve issues but oddly seem to have the opposite effect. Challenging and sometimes outrageous, Scott Capurro is a natural raconteur – confessional, intimate and most shocking of all, occasionally full of doubt.